Back in the 70's, we were faced with a number of growing fads - yo-yos, flares, long hair, discos, and somewhere in between, a growing interest in equestrian pleasure. While horses were no longer needed for transport, they had started to emerge as a hobby or sport which the average family could afford. Many people with little experience were purchasing horses, and about this time, John and Angela Anker started to assist newcomers to the equestrian field. Twenty years on, their former cherry farm has been transformed into a riding academy and agistment centre with capacity for more than 200 horses. 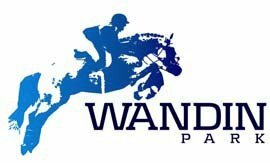 Wandin Riding Academy is a teaching centre located one hour east of Melbourne. It specialises in dressage, showjumping and cross country. John's other property, Wandin Park, contains a mammoth one-day event course, co-designed by Captain Mark Phillips. Not long after John began building facilities, he joined a group of self-regulated centres called the Australian Horse Riding Centres. Today there are more than 100 in Victoria, NSW, WA and Queensland, all abiding by minimum safety standards and sharing a group public liability insurance policy. John has been president of the national body for the past two years, but he admits the State bodies do all the hard work. The national body meets twice yearly to clarify standards and work practices, but the States conduct inspections. But John's reputation for conducting spot checks has earned him the nickname, "Drop-in John." He says he's probably inspected over 100 centres around Australia. "We have a huge checksheet to follow for inspections," John explained, "and centre owners have far greater knowledge of safety than someone from the outside." These rigorous inspections have lead to the expulsion of one centre from the Australian Horse Riding Centres, and several others have been warned to lift their game. Being a member also has the advantage of group public liability insurance, meaning centre owners can afford to cover every aspect of liability. John reminded ASM the insurance policy is "only as good as the poorest member, and that is one of the catches which keeps our standards up." Members are briefed on safety standards at every national meeting and through on-going communication. John says he has slowly watched the industry become more professional with improved safety standards. He has also noted the increasing involvement of adults. "All kinds of people really enjoy our centre, not just the champions, but everyone who enjoys riding, and that includes adults," John enthused. As for the future, John is looking forward to more promotion of the sport in the lead up to Sydney 2000. "Australia proved at the last two Olympic Games they are the best when it comes to eventing."